Families helping families to bring one simple food source closer to their table. Click here for Pricing & Locations. For Hatch The Chicken locations in the USA click here. For Hatch The Chicken locations in Canada click here. Homestead Ron & Jenine with their family now offer Hatch The Chicken to the Dallas / Ft Worth, North Texas, and surrounding areas! 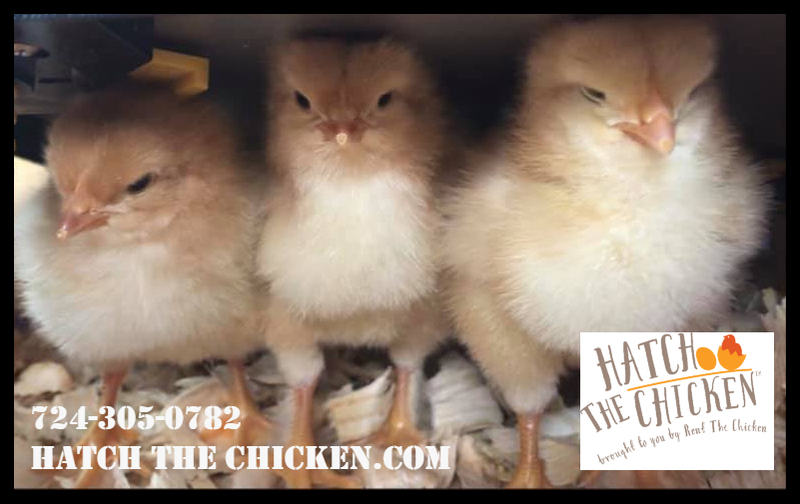 To schedule your Hatch The Chicken delivery, call us at 724-305-0782 today! For Rent The Chicken renters we can possibly arrange for Hatch The Chicken to be delivered or picked up with your Rent The Chicken rental. The price is $160. For Hatch The Chicken renters we can schedule your five week rental for a convenient time for you now through October. The price is $185. Continued Rent The Chicken phone, email, and Facebook support. Our Hatch The Chicken rentals include FREE DELIVERY to the North Texas, much of Dallas / Ft Worth and within 50 miles of Gunter, TX 75058. If you live farther than 50 miles of Gunter, TX 75058, you may incur a predetermined yearly transportation fee. For customers outside of our FREE DELIVERY area, please call us at 724-305-0782 for a delivery quote. Educators & STEM leaders click here for information! Find out about our Give The Chicken program. Summer Camp Directors click here to bring Rent The Chicken to your Camp! Want to know about the families providing Rent The Chicken? Read all About Us! Do you own a Farm, or a little bit of land, and want to rent out chickens? Be an affiliate by clicking here for more information!